Jason deParrie-Turner: Director, Co-Producer, Editor. I first got involved with film and video when I was 6 years old. I made several national and international commercials that paid my way through college where I studied art and psychology. When I was 8, I got the opportunity to be on the set of the Original "Muppet Movie" during the filming of the dream sequence. Getting to see the magic behind the scenes and meet and talk to the cast and crew instilled the love of filmmaking that I carry with me today. I went back to school for my MA in Media Studies. In the past 8 years, I've worked as a television producer as well as cameraman and editor for several networks including FOX, InHD, SPEED, Outdoor Channel and regionally for FSN & Comcast. In 2010 I released "Veer" a documentary about bike culture, narrated by Matthew Modine (Birdy, Full Metal Jacket, Pacific Heights, Weeds) along with my long time friend and collaborator Greg Fredette who directed, co-produced and co-edited the feature. I am in post production on a doc: One Week Job: USA, which is part of a series. Jeanne deParrie-Turner: Assistant Director and Co-Producer. When I was a small child, my aspirations were to become a writer and a businesswoman. Since partnering with Jason both personally and professionally, my child hood dreams have been realized. I spent several years in the medical field working in a fast-paced, high stress environment in which the client needs were always tantamount. This experience was a great training ground for my current work on set and in pre-production. I have a BS in Social Sciences, have worked on "One Week Job: USA" as assistant director and producer. I also have worked on several projects through our production company in various roles such as writing, co-directing and general do-whatever-needs-to-be-done. 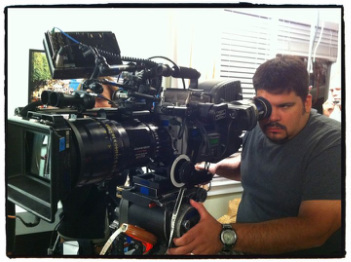 Joseph Torres: Camera Operator and Grip. A native Californian, Joseph Torres, Jr. was born and raised in the city of Stockton, centrally located in the San Joaquin Valley. He is the only child of Joseph Torres (sports cinematographer) and his wife Gloria, a high school teacher. Exposed to photography at an early age, he spent most weekends of his childhood in the motion picture processing lab that his father owned and operated, absorbing the skills of his father’s craft. Influenced by his father’s work, the knowledge he acquired about still and motion picture cameras, including the art of developing and printing, was both a powerful and critical part of his growing up and would ultimately lead him toward his future career goal of being a cinematographer in the television and motion picture industry. Joseph was driven to find his place in the television and motion picture industry and in the summer of 1990, he was hired on his first feature film as a production assistant. The low budget feature was a great learning experience and reinforced his desire to work with motion picture cameras in film production. Later that fall, he enrolled at the prestigious School of Cinema-Television (now known as the School of Cinematic Arts) at the University of Southern California. He took full advantage of his education and made great efforts to expand his film knowledge and experience while at USC. In 1993, after earning a Bachelor of Arts degree, he began his career as a camera assistant. In 1996, he became a memberof the International Cinematographer’s Guild, joining as a first assistant camera. Some of his projects as a camera assistant include, the end title sequence for the remake of Dawn of the Dead, second unit on Mr. & Mrs. Smith (with Brad Pitt and Angelina Jolie) and seasons five through eight on the Emmy-nominated, television comedy series, Scrubs, four seasons on ABC/TBS’s Cougar Town, two seasons on Showtime’s Emmy-nominated Episodes, as well as the Fox TV’s comedy, Surviving Jack. Joseph is no stranger to hard work or paying his dues. During his career, he has had experience working in every position from loader to cinematographer, to grip and electrician on a variety of projects ranging from student films to major features. Having worked in various departments on a production has given him an in-depth and well-rounded understanding of photography and lighting. He constantly strives for excellence in his work and takes pride that he has learned from so many great artists and technicians. He is someone who truly enjoys his chosen career. “I am very blessed to be paid to do something that I love” he says, “I look forward to the creative challenges that each day on set brings.” Joseph and his wife, Andrea, currently reside in South Pasadena, California. Trevor McIrvin: Camera Operator and Assistant Editor. Since the beginning I was hurled into the creative world. My dad, one of the founding members of the in-house Nike video production team, passed down his gift of storytelling and passion to create. With this instilled passion, I spent the majority of my childhood experimenting with the art of video. Realizing that I could potentially turn my talent into a profession, I decided to attend Chapman University in Southern California and major in Film Production with a minor in Organizational Leadership. During those four years, I was able to learn about all aspects of video production and discover that I really had a knack for shooting, editing and producing. In addition to school, I had the pleasure of interning for New Regency and Athletes in Motion Television where I was able to further develop these skills. Upon graduation, I was hired as an Associate Producer for Jeff Cole Productions, an award winning production company based out of Orange County, California. Producing commercials, promotional, government, web, and event videos, I was an integral part of the organization and a key player throughout development, production and post-production. In addition to producing, I honed additional skills as an editor, videographer and director and was even awarded my own Telly. In 2010, I moved back to my home town of Portland, Oregon to seek out additional work opportunities. I continued to work with Jeff Cole Productions remotely and also worked as a freelance producer, editor and videographer working with a number of clients such has Nike, ESPN, Northwest Hunter television, Optimist LA, The Children's Cancer Association, Lewis & Clark College and many more. A Portland native to the core, I have been performing since before I was able to form memories. I was a prop in informal plays performed in our living room by my five older siblings for the benefit of our parents and as I grew older, I became an active participant. Coming from a creative family and as the youngest of six, this made me a natural performer and over time I honed my skills of comedy, impersonations and theatrics. Four years ago, I discovered sign language which fit my personality perfectly. Over the past two years I have been working on my degree in sign language interpreting. During that time I began searching for supplementary employment. 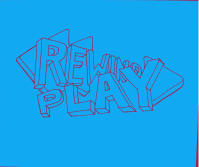 I met Jason and discovered a place for myself at Heliorana Filmworks on the set of "Rewind:Play" (as well as other projects) and at the same time, discovered that I love being behind the scenes and watching the process unfold from start to finish almost as much as I love being on stage.